I have a confession: I wish someone had told me just how much detail is involved in wedding planning before I’d gotten engaged. 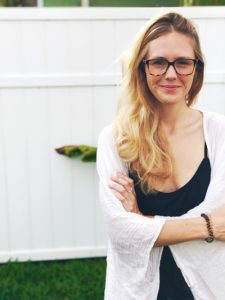 I was blissfully unaware of just how many decisions I’d have to make—both large and small—for not just myself but for my family, my wedding party, and my future husband. Now that I’m on the other side of it, I have come to appreciate all the helpful services available to newly-engaged couples, especially those offered at the Macy’s Wedding Shop. 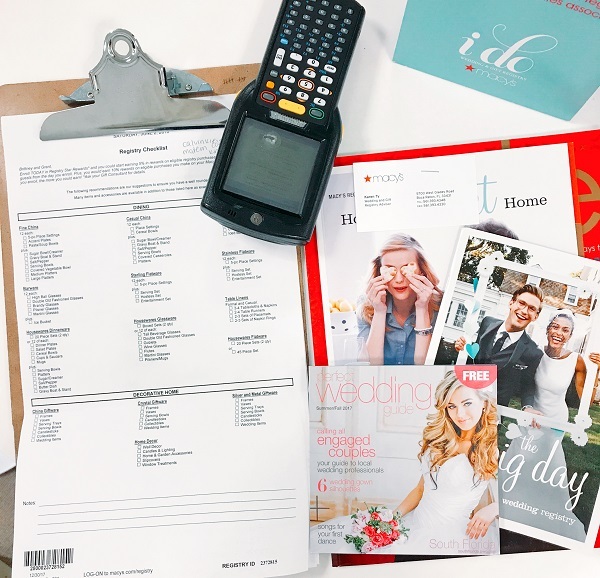 Sure, Macy’s has a fantastic selection of products and homegoods to get your wedding registry started, but did you know they also provide you with a one-on-one consultation to curate the perfect list of items? 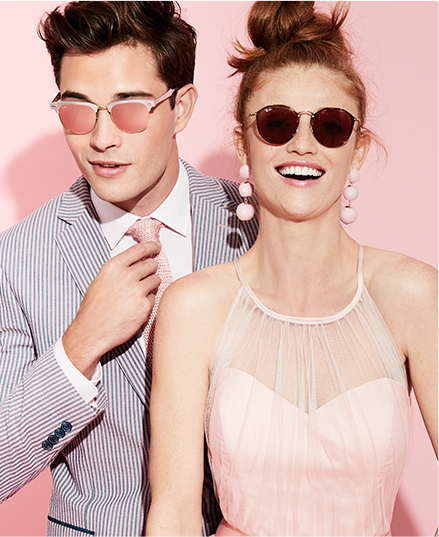 The team at Macy’s doesn’t miss a thing: from bride and groom attire for the events leading up to your big day to wedding party attire and gifts, to the fairy godmother magic of the MyStylist service. Now that I have your attention, it’s time to do a deeper dive into the sanity-saving services you’ll find at the Macy’s Wedding Shop—where you’re always in good hands. 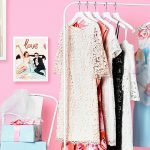 Not that you don’t have a solid grip on your bridal look—because you totally do—but all the pre-wedding events can become overwhelming when you realize you need an outfit for all of them! Luckily, the Macy’s Wedding Shop can help you break down your needs and put together a stellar wardrobe that’ll get you from your engagement party to your bridal shower, and even to the altar! Need accessories? You’re covered. Makeup? Perfume? Done and done. Whatever those final touches might be, Macy’s will make sure you look and feel your best. I’m going to let you in on a secret: your groom will most likely leave suit shopping to the last minute before your wedding. Macy’s Wedding Shop is the perfect spot to send him, since the always-prepared consultants are ready to bring your wedding vision to life regardless of the dress code. You’ll have total peace of mind knowing he’s fully-coordinated from tux and tie to socks and shoes! You didn’t think they’d forget about your wedding party, did you? Rest assured, the team at the Macy’s Wedding Shop has everyone covered, including your closest friends and family you’ve chosen to stand up with you on your big day. When you let Macy’s take care of your bridesmaid and groomsman needs, they’ll make sure everyone steps out with their best attire. When it comes time to thank those friends and family for being part of your wedding, the Macy’s Wedding Shop has no shortage of gifts for everyone in your bridal party. There are plenty of options to fit each unique individual and price points that will match any budget. You can always rely on the helpful guidance of the Macy’s team no matter if you’re visiting online or in person! If you’ve read about all the incredible perks of the Macy’s Wedding Shop and you’re feeling just a tad overwhelmed by the possibility—well, you guessed it, they have a solution for that, too! Macy’s MyStylist makes your entire to-do list bearable, and the service is completely free so you can utilize those superpowers to their fullest extent. Book a personal shopper for your dress and suit needs for yourself, your groom and your bridal party who will hand-pick options based on your criteria. All you have to do is show up! Plus, your first trip gets you 20% off your purchase. I’ve said it before and I’ll say it again: the Macy’s Registry is your one-stop-shop to building your dream registry and beyond. 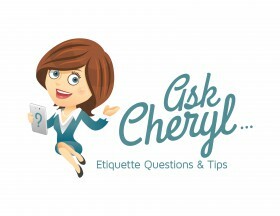 Right off the bat, they set you up for success with a handy checklist of popular items to consider for your own future, and you get the expertise of an in-store consultant during your appointment. Once you’ve finished scanning your items, you can continue the fun online or at their fun Sip & Scan Parties! You’ll also have a chance to earn 5% cash back rewards on items purchased from your registry, and their selection of completion rewards can help you narrow down any tough choices! When it’s all said and done, planning a wedding takes a village, so why not bring in your local Macy’s Wedding Shop along for the fun? When you book an appointment with their star-studded professionals, you’re setting yourself up for the best version of the best day of your life. Trust me. -Written by Brittney Winters, who would not have been able to plan her own wedding in 8 months without the help of RegistryFinder.com, the team at the Macy’s Wedding Shop, and a few therapy sessions.